Alana Skwarok (MLIS) began her position as Arts & Culture Librarian in Reference Services in September 2012. Alana has been working at Carleton for over two years, providing support for students and faculty in film studies, art history and music. Previously, Alana worked as a librarian with the Palliser Regional Library in Moose Jaw, Saskatchewan. Jennifer Whitney (MLIS) is the new Systems Librarian – Emerging Technology and Systems Integration. She began on September 1, 2013. Jennifer is currently completing her studies at the University of Western Ontario in Library and Information Science. Jennifer has worked as a systems and software developer for many organizations including: collaborating with the Public Knowledge Project and the Dataverse team, University of New Brunswick, Bridgewater Systems, and Nortel Networks. She has also worked as a development support specialist for iMagicTV in Saint John. Jennifer will make a great addition to the Systems team in supporting technology initiatives for scholarly communications, digital humanities and e-sciences. Curtis Sassur (MISt) has been appointed to the position of Coordinator of Archives & Special Collections at the Ryerson University Library & Archives (RULA). Curtis has been working at RULA in Archives & Special Collections in a steadily increasing capacity since the fall of 2011. Originally brought on board to assist with the archival processing of various donations, Curtis will now be responsible for the day-to-day operations, and collections growth strategy of the Archives & Special Collections. Prior to coming to Ryerson, Curtis worked in the University of Toronto Media Commons, in the CBC’s moving image archive and library research departments, and as a principal in a small archival consulting firm specializing in the brokering of archival donations. 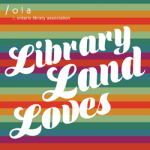 Juliya Borie (MIS) was appointed in July to the permanent status stream Cataloguing Librarian position at Robarts Library. Since joining Robarts as a contract librarian in September, 2011, Juliya has taken on a range of cataloguing challenges, processing serials and other materials in a number of languages and formats. She has also been serving as an adjunct reference librarian since September 2012. In addition to these regular duties she has presented several staff training sessions about the new cataloguing code, RDA. At this year’s TRY Conference she co-presented a session on cataloguing from the perspective of new cataloguers, and in the summer she co-presented a very successful session on linked data and serials at the annual NASIG conference. Sheril Hook (MALS) has been appointed to the position of Chief Librarian at the University of Toronto’s St. Michael’s College effective January 1, 2014. Sheril comes to St. Michael’s from UofT Mississauga Library where her current position is Curriculum Development Co-ordinator. She holds a Bachelor of Arts and a Master of Arts in English from the University of Missouri-Columbia, and a Master of Arts Library Science from the same University. A PhD in Information Studies from the University of Toronto is expected in 2016. Vincci Lui (MIS) recently joined the Gerstein Science Information Centre on a one-year contract as an Instruction & Liaison Librarian. For the past five years Vincci has been working as a liaison librarian at the Macdonald Campus Library of McGill University where she was a liaison to several life science departments, provided reference services, taught information literacy classes and was involved with promotion and outreach. Tracy Zahradnik (MI) recently accepted the Liaison and Instruction Librarian one-year split position at the Dentistry and Engineering & Computer Science libraries. In addition to her Master of Information from U of T, Tracy holds an MSc in Zoology from the University of Guelph and a PhD in Biology from Simon Fraser University. While pursuing her studies at U of T, she worked as a Student Library Assistant at the Dentistry Library, and as a Graduate Student Library Assistant at the Engineering & Computer Science Library. She brings a wealth of experience to the team from her previous roles as teaching assistant, research assistant, conference presenter and peer-reviewed author in the sciences. Andrew McAlorum (MISt) is the new Head of Digital Initiatives at The University of Waterloo Library In this newly-defined role, Andrew provides leadership for staff in the Digital Initiatives department, overseeing the development, maintenance, and ongoing support of user-focused web services for the academic research library community.